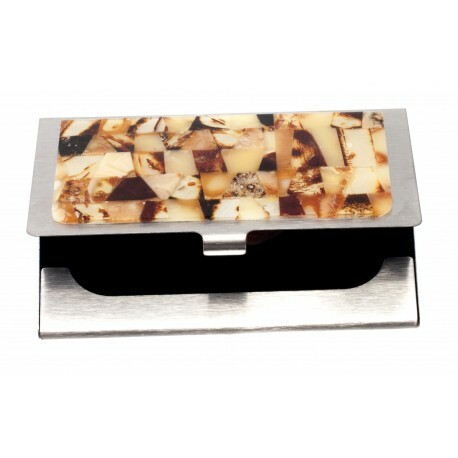 > Business Gifts>Card holder decorated with motley amber mosaic "Decision"
Card holder decorated with motley amber mosaic "Decision"
Practical and elegant metal card holder decorated with motley Baltic amber. It is a great gift for a practical person. 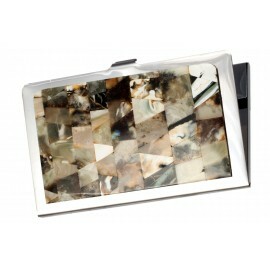 The inner side of the tray is covered with dark velvet textile. Surprise business partner or friend original and practical gift.